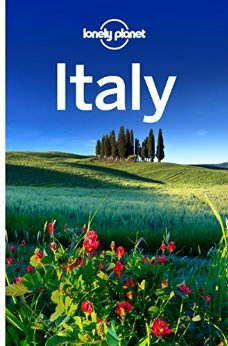 World famous as the birthplace of the original pizza pie, and known for having the best pizza, pasta, and coffee in Italy, travelers to Naples are often lead by their appetite. Though unlike the Italian dream destinations of Venice, Florence, and Rome, Naples doesn’t often rank as a tourist favorite. And perhaps it’s because the area doesn’t market itself well, or because there’s a certain gruffness to this urban sprawl. Many people’s first impressions of Naples is one of grunge and grime, but for travelers willing to look past a rough exterior, the city is an unlikely masterpiece of breathtaking frescoes, strong tradition, and invaluable artistic, cultural and historic heritage. And, sitting within view of the mighty Vesuvius, the seaside offers one hell of a panoramic view. 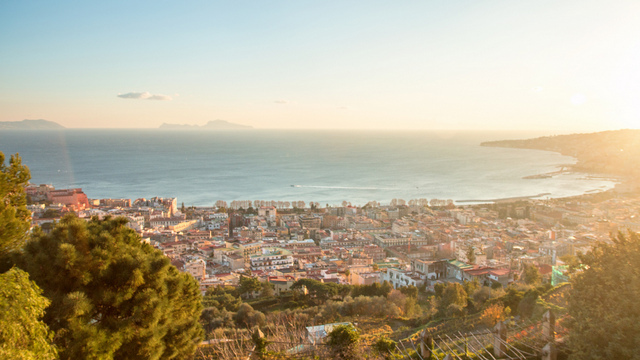 Travelers who tell you that there’s not much to see or do in Naples are mistaken. 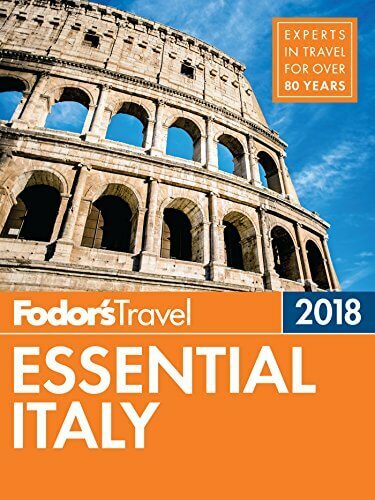 In fact, there are dozens of museums, palaces, monuments, parks and churches, and the city is a wonderful base for day trips to more sought after Italian destinations like Pompeii, or the Amalfi Coast. Transportation throughout the city is easy and readily available, whether you opt for public buses, trams, and metro, or private transfers like on www.taxi-airports-transfer.com. And the city is very safe regardless of whether you are traveling solo, or as a group. I personally spent 5 days in Naples, and while I highly recommend taking advantage of the wide range of day trips available to surrounding regions, I implore you to discover the city of Naples itself. It is so much more than just a base. Here are the best places to visit, and things to do. Featured image by Andrea Schaffer. Most walking tours of Naples begin at the harbor, and this is also where you’ll head if you’re planning on catching a ferry for a day trip to the Island of Capri. Naples is the most important port in Southern Italy, and it is a true hive of activity. You could people watch for hours here; visiting the harbor is a great way to experience local life, and witness the every day business of the sea trade economy. Exploring the many docks and ports is a great way to soak up the vibrant atmosphere. While at the harbor, make sure you visit Castel dell’Ovo. The oldest castle in Naples, and a stunning example of some of the world’s oldest fortifications, this sits in a prominent position on the harbor and is used for exhibitions and concerts. You can’t claim to have traveled to Naples without having ordered pizza, and when you get to Naples, you’ll quickly realize that pizza is no joke! This is where pizza was first invented, and there are hundreds of specialty restaurants which make pizza and nothing else. Special ingredients along with a wood-burning oven are traits of authentic Neapolitan pizza, and when walking the streets of Naples your senses become overwhelmed. The traditional wood-burning ovens used today are identical to those used several hundreds of years ago, producing an entirely different taste to that of an electric or gas oven used in many fast food chains. And strict protocols are in place for oven sizes and temperatures, enforced by the Associazione Verace Pizza Napoletana. Wondering what to try? Marinara is the most basic form of pizza, topped with only tomatoes, garlic, oregano and olive oil. Margherita is your classic pizza topped with red tomatoes, white mozzarella cheese and fresh basil. 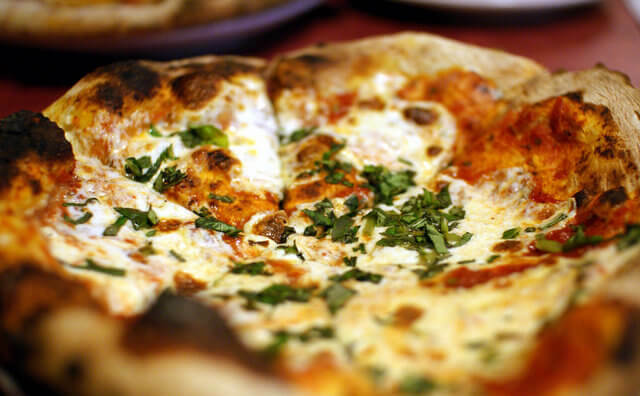 Pizza is more than just a dish in Naples. It is an art form. A 13th century Gothic cathedral dedicated to Naples’ patron saint, San Gennaro, the Duomo (or Cathedral of Naples) is on Via Duomo. It was originally commissioned by Charles I of Anjou in 1272 and consecrated in 1315, and has been rebuilt over the centuries after destruction at the hands of natural disasters. Steeped in history, it is here that you will find the 4th-century Basilica Santa Restituta (the oldest church in Naples) with columns believed to be from the Temple of Apollo, stunning ceiling frescoes, ancient Byzantine-style mosaics, and archaeological remains from the Greeks to the middle ages. 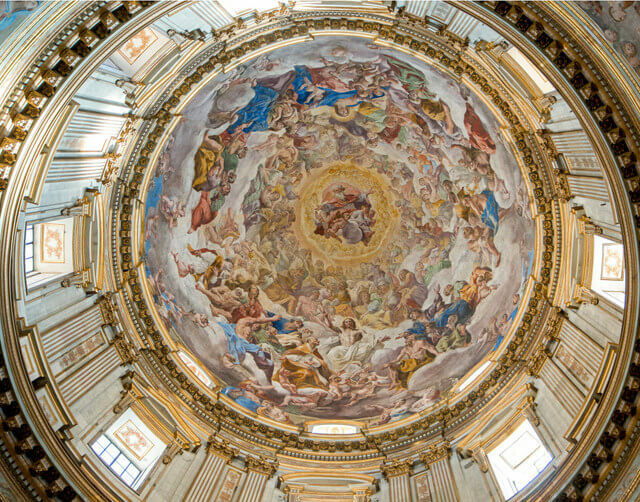 The church is most famous for housing a vial of the blood of Saint Januarius which is brought out twice a year, on the first Saturday in May and on 19 September, when the dried blood usually liquefies. If the blood fails to liquefy, then legend has it that disaster will befall Naples. 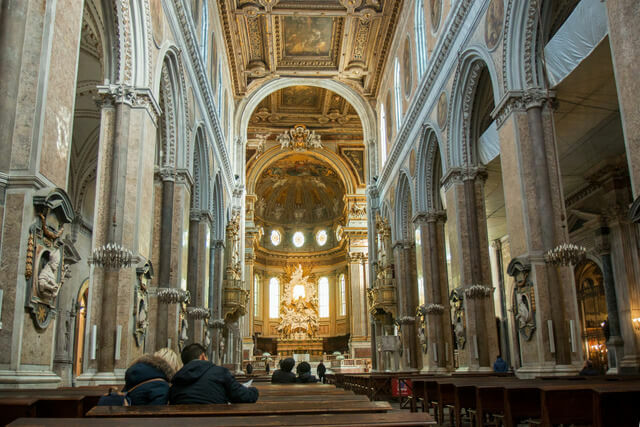 On the day you plan to visit the Duomo, make time to explore the rest of Naples’ historic center. A UNESCO World Heritage site dating back to 470 B.C., this part of the city has many incredible attractions, including three enormous castles, a royal palace and more churches and cathedrals than you could ever imagine. The main street that divides the historic center is called Spaccanapoli or Via San Biagio dei librai. This is always a hub of activity, and from the main pedestrian zone you can wander among a string of narrow, winding streets which lead to churches, shops, and other historic buildings. 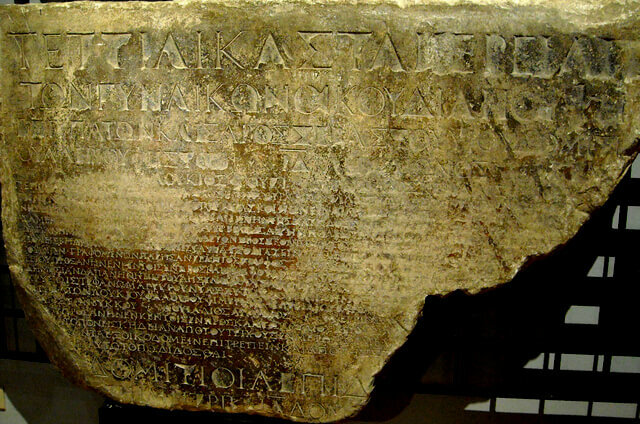 This district was once the ancient Greek city of Neapolis, and the narrow streets take you back to Greek times. Don’t miss the following attractions in the historic center. 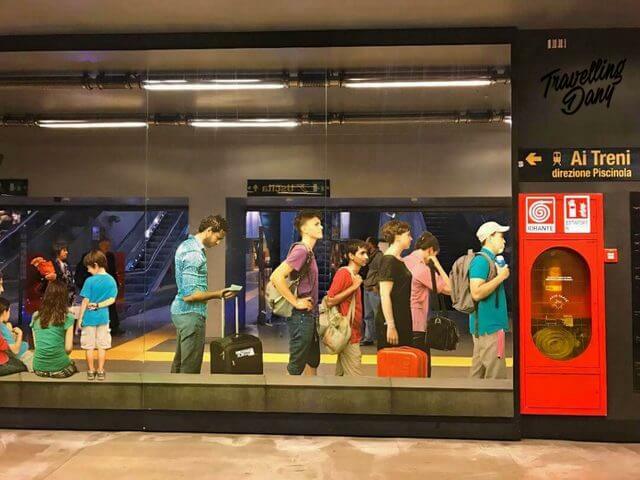 The Art Stations of the Naples Metro is a project that has seen many old metro stations around the city rejuvenated by contemporary art. As a city that prides itself on art and culture, this project has the double benefit of giving new life to city stations, while promoting the arts. More than 180 works of art are now featured at stations throughout Line 1 and Line 6 of the Naples Metro, completed by a mixture of famous international artists as well as young local names. The style of art is different at every station, and from colorful mosaics, to a series of futuristic escalators that mix steel and LED lightsforms, the city has commissioned an incredibly eclectic mix. Use this interactive map to the Naples Metro, or you can download this pdf with the map. 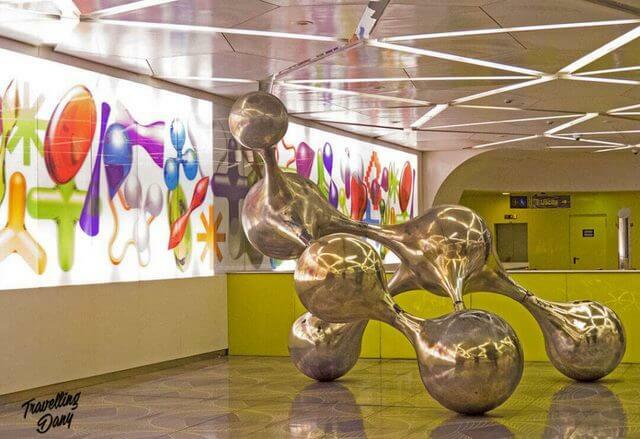 For a virtual tour of the art you can expect, check out Danila Caputo’s article ‘The coolest Art Stations of the Naples Metro‘. 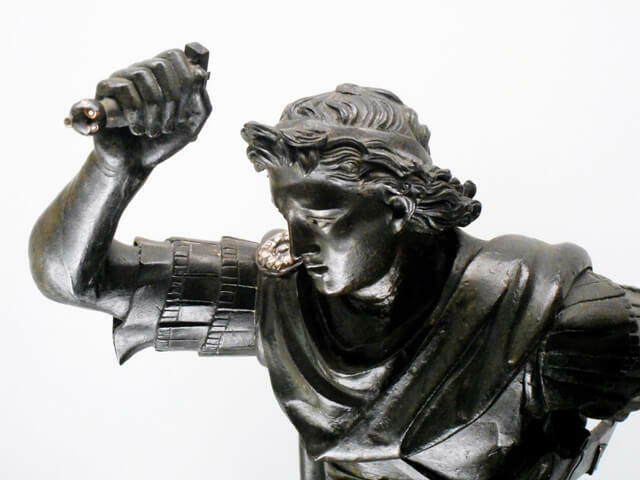 For fans of artifacts, architecture, and those fascinated by ancient history, the National Archaeological Museum of Naples has one of the world’s best collections of Greek and Roman antiquities. The building itself dates back to the 1750’s, and served as a military and cavalry barracks before being turned into a museum. 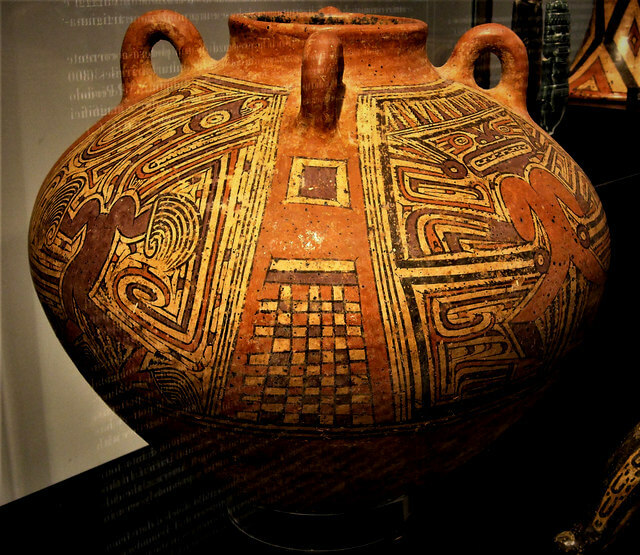 Many of the objects come from excavations at Pompeii and other nearby archaeological sites like Herculaneum (another great day trip from Naples). The collection includes spectacular mosaics, sculptures, gems, and a collection of Roman erotica from Pompeii. The museum is located to the north of the Harbor but there is a Metro station right next to the building. If you’re visiting Naples as a family and want to actually visit the sites themselves, check out this post on how to visit Sorrento, Capri and Pompeii with kids. 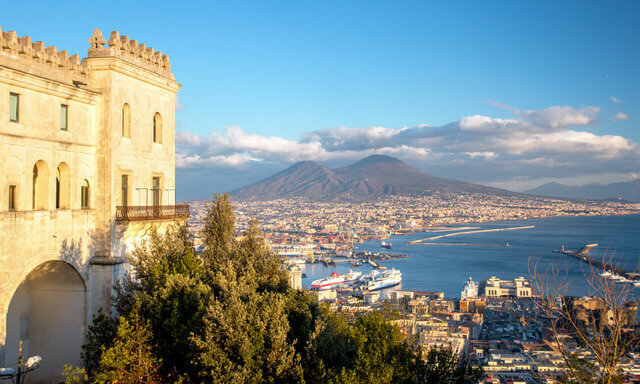 While there are a number of different options for transport in Naples, the Funicolare is a great opportunity to get to Castel Sant’Elmo, and the Museum of San Martino for spectacular city views. The funicolare itself is mostly tunnels, so don’t expect any views from within the cars, but as you walk from the top stop to Castel St Elmo, you can appreciate postcard worthy views over the bay. Funicolare Centrale, which opened in 1928, is one of four funicular lines in Naples. This is one of the longest cable railways in the world, and is a great way to get to the upscale Vomero district. The most famous square in Naples, Piazza del Plebiscito is home to many monumental buildings, and over time has been the scene of many important historical events. The square is located in the heart of the city and overlooks points of interest such as the Royal Palace, the Palace of the Prefecture, the Basilica of San Francesco di Paolo, and the Salerno Palace (all of which you should aim to take in). It is a pedestrian zone which is great for taking pictures. There are many sculptures and statues around the square, which summarize the history of the city through the kings that ruled. Keep an eye out for the statues of the King of Naples built by Vanvitelli, as well as the majestic equestrian statues of Charles III and Ferdinand I built by Canova. The square often hosts musical events and concerts, and many music videos, TV shows and movies are been filmed here. 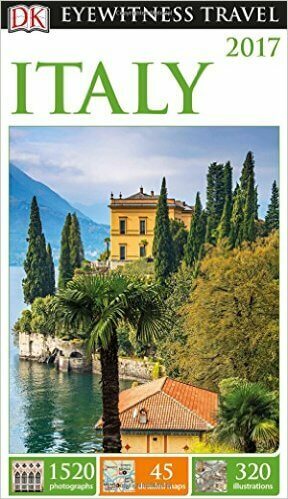 This is a truly fantastic place, and a great place to start your Naples tour with so many fine historical buildings to visit. 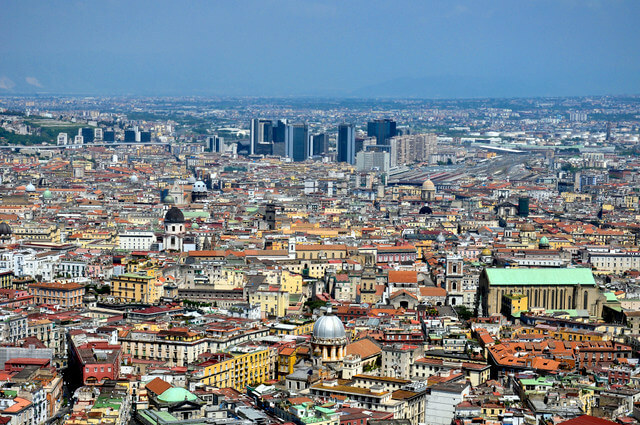 Check out this post for things to do in Naples, Italy. Everything from Naples pizza, to Pompeii and photography. Click pin through to article. I would try a pizza for 5 Meg ;) We befriended a rocking travel blogger in Chiang Mai. She is from Italy but notes how 1 Thai dude in Pong Noi – outside of CM – does a fabulous job making pizza Italian style. Thin crust. Little marinara. Basil. Not much else. Incredibly tasty and surprisingly filling too. I’d love to enjoy pizza in the home of pizza. As a girl who moved here from Brooklyn, NY let me be the first the tell you that the places you recommended arent the best places here in our Kingdom of Napoli. Actually the best places arent even on your list!! So let me have the pleasure of telling you where you must absolutely visit once arriving in Napoli!!!! 1.The Under Water City of Baia-Parco sommerso di Baia Via Lucullo, 94, 80070 Bacoli NA. Here you can snorkel or take a boat and visit the Gods & Goddess of the Sea. 2.The tunnels of Napoli-Napoli Sotterranea Piazza San Gaetano, 68, 80138 Napoli NA. Here you see the tunnels where 900,000 people lived and survived WW2 under ground as men fought off the Nazis in 4 days to save Jewish families lives in Italy. 3.Hercules-Gli Scavi di Ercolano Corso Resina, 80056 Ercolano NA.Unlike Pompeii which has been destroyed from criminals, weather and items removed and transfored to the museum by archaelogist Hercules has all the original art work, houses and tiles that Pompeii lost in time. 4.The Royal Palace-Palazzo Reale Piazza del Plebiscito, 1, 80132 Napoli NA Napoli is the Kingdom of Spain and as any Kingdom there is Castles and the Palace and the theatre to be explored. This enormous building can be seen just for a 4 EUR entrance fee. It has extraordinary rooms, furnishing, at work etc. It helps people to understand not only how rich and lush the city was but how much magic was practiced by the Royal Family of Spain. 5.Ischia-Poseidon Hot Springs and Garden-Giardini Poseidon Terme Via Giovanni Mazzella, 338, 80075 Forio NA. Ischia private island offer the natural hot springs from Vesuvius Volcanic minerals to heal your body and the gardens of Poseidon to heal your soul! Napoli has the best of the best in Italia and others in Italy are envious of all the abundance of this city! 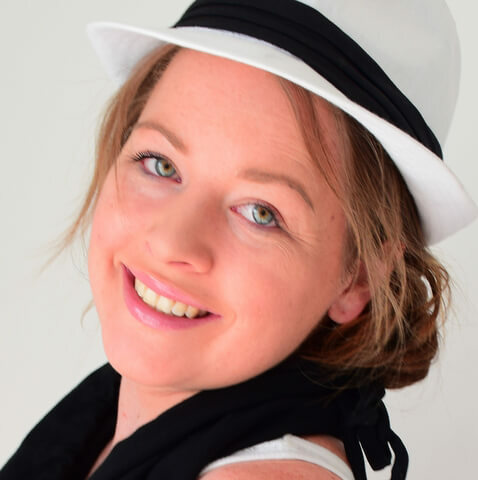 Hi Stella, thankyou so much for sharing your local insight and recommendations. It sounds like I have 5 reasons to head back to Naples! The Under Water City of Baia-Parco sounds really interesting, I can’t believe I missed it on our trip. So glad you enjoyed the post Mayuri! Lived there for 3 years and I miss it soooo much!!! I just has this conversation today at a networking event with a woman originally from Naples. I said it was a gritty city full of life as it is lived. it’s not pretty for tourists. I loved Herculaneum and the underground tour. Absolutely we consciously stayed for a week and it was well worthwhile. So glad you enjoyed your time too! I had heard so much negative feedback about Naples before going, that it wasn’t worth keeping it on our itinerary, but I loved it – so glad I didn’t listen! If you’re a mad pizza fan you definitely have to visit Naples at some point. This is where it was invented :D! Naples is definitely on my list Meg, thanks for the inspiration! I got some pizza there on the way to Pompeii. Unfortunately, didn’t have more time to spend there. You are so right! It is a continous discovering. Vin è sfuggito il Tesoro di san Gennaro, il tesoro più prezioso al mondo, più di quello della Corona d’Inghilterra o dello zar di Russia. We visited the underground, it was one of the best tours we have ever taken. The guides were lots of fun and presented the human stories of the people who occupied the underground with wit and compassion. I highly recommend! So glad to hear it! The underground is definitely a fascinating tour – not something most tourists automatically think to do either which makes it a bit more off the beaten path and very cool!